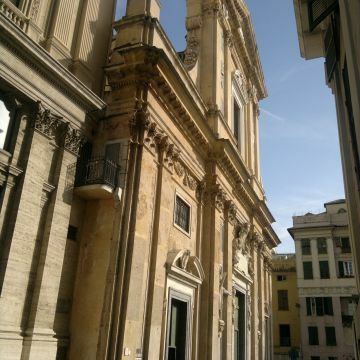 This itinerary runs through Genoa's historic centre, combining religious sentiment and devotion with the city’s artistic heritage. The route sets out from Piazza Banchi. Around the square and down the nearby streets, the devotion of a city that chose the Madonna as its Queen is evident in the exquisitely crafted Madonnette – age-old votive niches that the guilds of tradesmen and craftsmen had built on their houses – and in religious subjects depicted over entryways, such as the splendid Adoration of the Magi (mid-15th century, by the Gagini school) in Via degli Orefici. 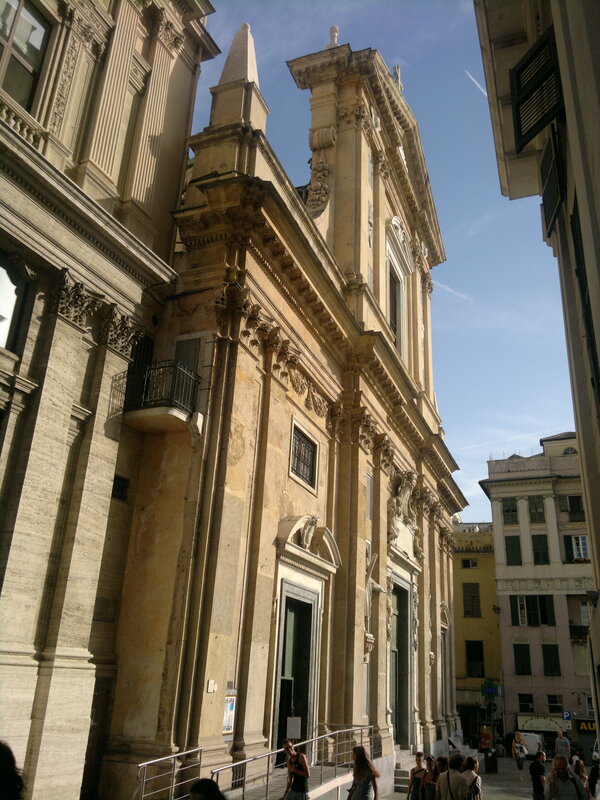 A short distance away, in Piazza Cinque Lampadi, are the homes of the Fieschi family, reminding us of the life and works of a Genoese Saint, Caterina Fieschi Adorno, whose incorrupt remains lie in the church that bears her name, in the neighbourhood of Portoria. Just a few steps uphill is the Cathedral of San Lorenzo, inside which are preserved the Ashes of St. John the Baptist, the patron saint of the city, while in the adjoining Museo del Tesoro - a superlative museum of international fame - sacred treasures tell wonderful stories that border on the legendary: from the Sacro Catino, a grail-like relic from the Last Supper, to the dish on which - so legend has it - the head of John the Baptist was presented, as well as the priceless Croce degli Zaccaria cross and a number of outstanding processional chests. Not far from here stands the Church of Gesù e Sant'Ambrogio (origins dating to the 6th century), rebuilt in the 17th century by the noble Pallavicini family, which, in grand Baroque splendour, preserves prized works of art including the Circumcision by P. P. Rubens on the high altar. 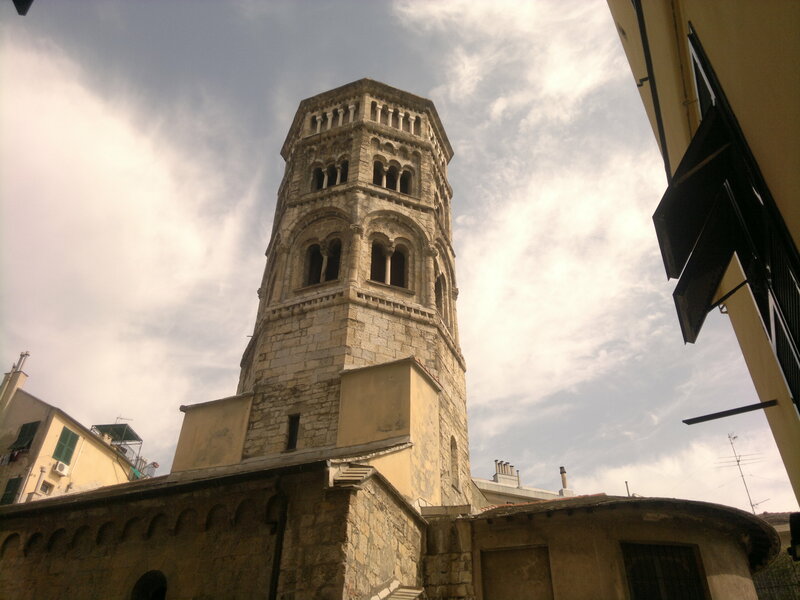 Located on the hillside site of Genoa's earliest settlement, the Church of San Donato is an excellent example of Romanesque architecture, with a beautiful octagonal bell tower over its nave; inside is a sublime triptych depicting The Adoration of the Magi, (1515) by the Flemish painter Joos van Cleeve. High up on the hill, near the historic Embriaci Tower named after a family who played a key role in the Crusades, is the monumental Basilica of Santa Maria di Castello, with origins dating back to at least the 7th century; along with its annexed Dominican monastery, the Basilica forms a complex of extraordinary importance and unique splendour. 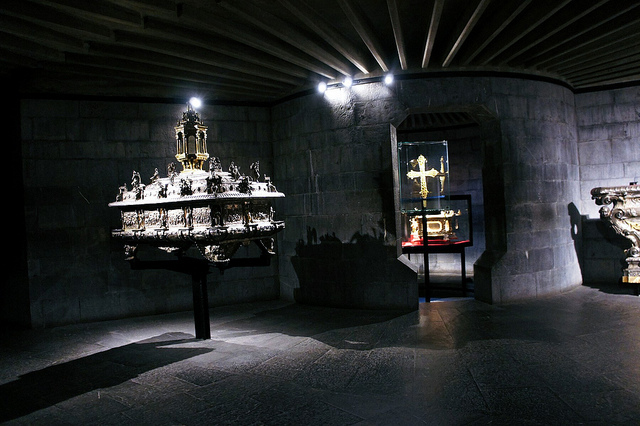 Both the church and its museum house a treasure trove of artistic masterpieces; worth mentioning are the many votive offerings dedicated to the revered Black Christ, a medieval wooden sculpture that today can be found on the high altar; sailors arriving in Genoa would once salute with sirens to invoke its miraculous protection. 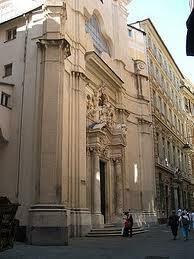 In the Oratory of San Giacomo della Marina, eleven large paintings narrate the life and legend of St. James. Overlooking the path along the Mura delle Grazie city wall, this baroque building is home to a "Casaccia", or union of congregations, confraternities and fellowships, and is located on the route to Santiago de Compostela, one of Christianity's pilgrimage destinations that led many faithful to pass through and discover Genoa. Returning to Piazza Banchi, just a short walk away is the Church of San Luca, featuring a splendid work by Il Grechetto depicting the Nativity. Domes and bell towers (in particular the beautiful Romanesque bell tower of the thousand-year-old Basilica of Santa Maria delle Vigne) spring from the silvery expanse of slate roofs below the "Golden Street" (Via Garibaldi), nearby which the Basilica of San Siro – the city's first cathedral, today boasting rich Baroque craftsmanship – still evokes memories of the "miracle of the Basilisk" performed by the Bishop Saint Syrus. Also worth a visit in the area are the Baroque Church and Oratory of San Filippo Neri in Via Lomellini, and the Basilica of the Santissima Annunziata del Vastato, one of the largest and most interesting basilicas in the city, brimming with treasures and adornments. 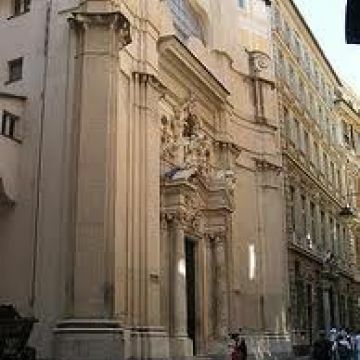 At the end of Via Balbi is the Church of San Giovanni di Pré, built on the orders of the Knights of St John of Jerusalem, later known as the Knights of Malta, with records dating back to 1180. 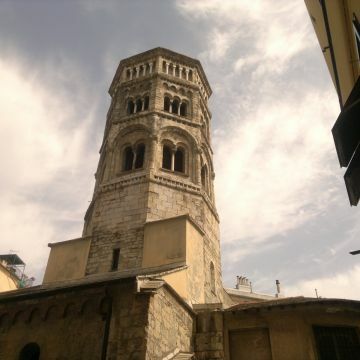 Together with the lower church and the Palazzo della Commenda, once a place of lodging and medical care for knight-monks and pilgrims travelling to the Holy Land, the buildings are one of the city's most important architectural examples of Genoese Romanesque art and one of the most fascinating complexes in terms of the historical events witnessed. 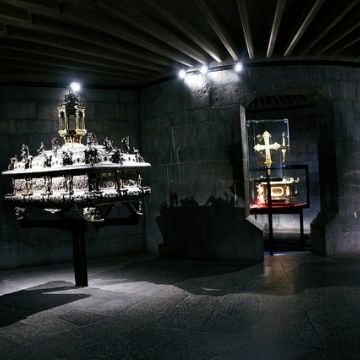 It was here that Guglielmo Embriaco landed after conquering Jerusalem and Caesarea in 1089, and according to tradition, this same event brought the ashes of John the Baptist into the city.